Do you happen to feel a little uncomfortable when sharing the administration data for your store with collaborators or customers? Unfortunately, we cannot wish to be able to do it all by ourselves, which is why we feel the need to be with someone that may do specific actions such as uploading or editing products, thus allowing us to have more time available for more important tasks. 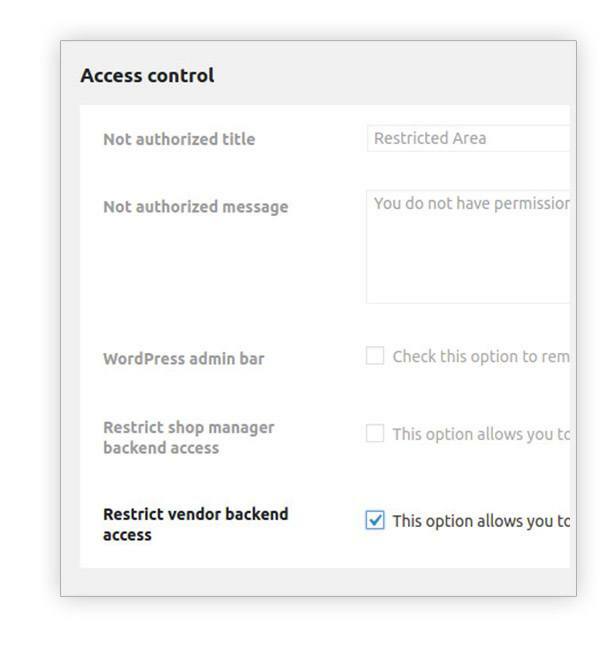 But granting access to the backend part of your store comes with 2 possible issues you should not underestimate. The first one is leaving your collaborator alone in an important area of your business where you may wish others didn’t have access to prevent others from having access to private information that doesn’t concern them. 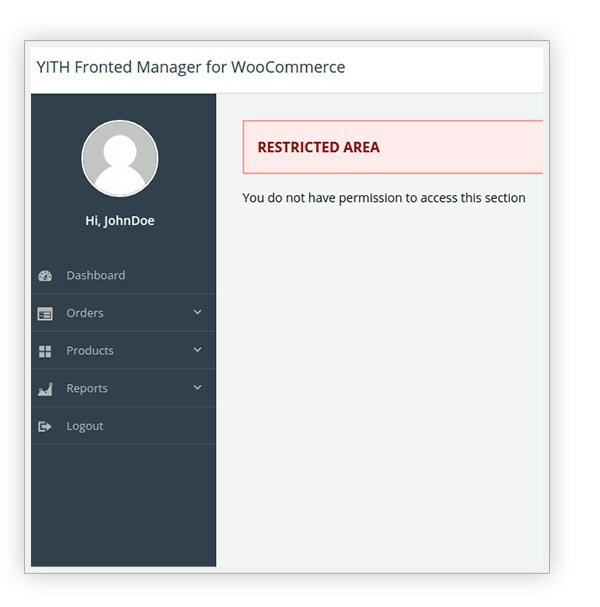 The second issue is that in most cases collaborators are not too skilled using WooCommerce and this might result in a lot of time spent in constant training which may cause the very same kind of concern. 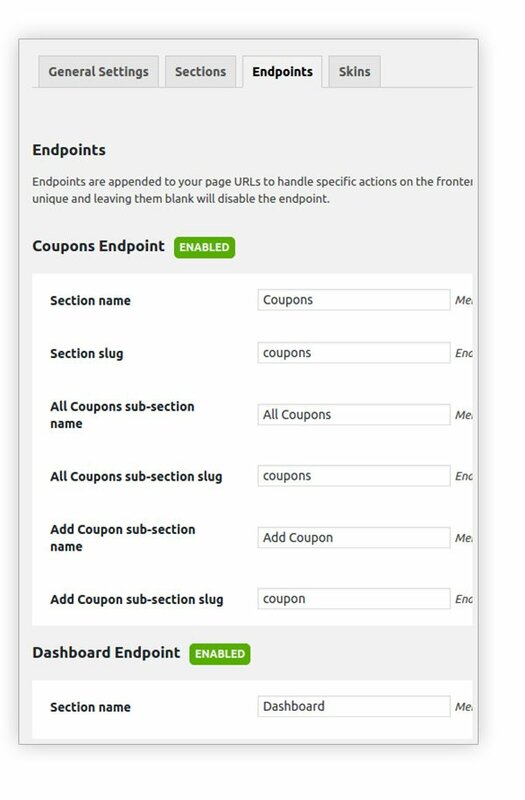 It would be great if our collaborators could add and edit products without having to enter the admin area, it would be great if they could accomplish all of those specific actions through the front end of our store, don’t you think? 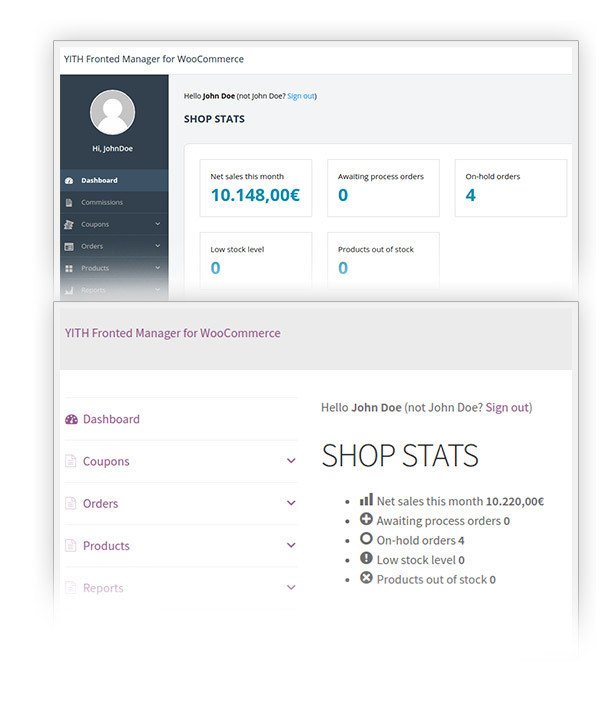 YITH WooCommerce Frontend Manager offers the best and easiest solution for this issue, allowing whoever you want to be able to perform delicate operations without having to enter the admin area and limiting mistakes, which will make you work faster. 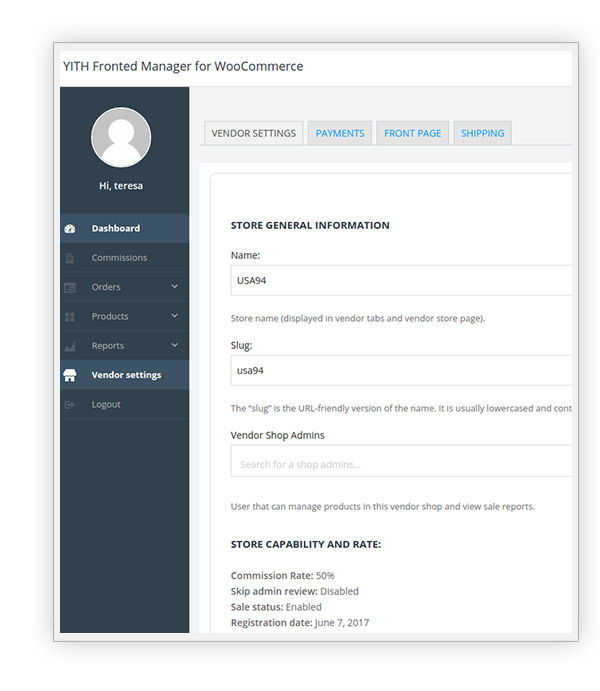 And thanks to the compatibility with our YITH WooCommerce Multi Vendor plugin you have the chance to extend these functions to each single vendor and make managing big market places a lot easier. Fix: Issue on add new attribute, save wrong name and slug. 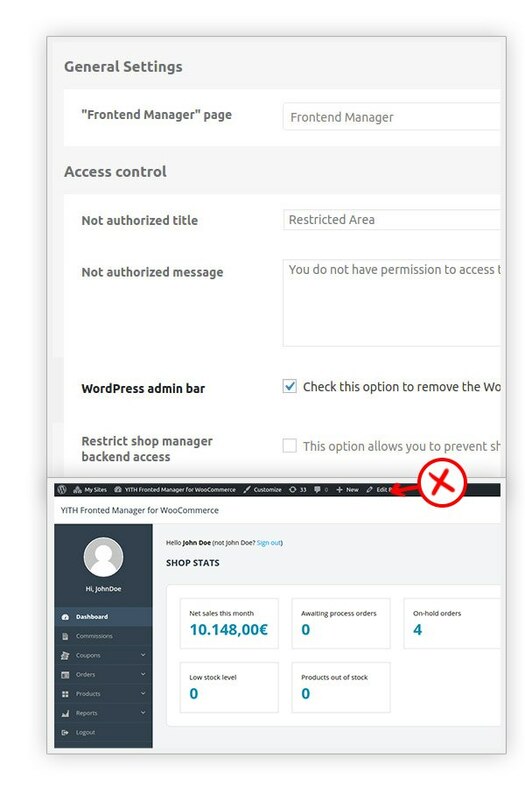 Fix: Setting product quantity to zero doesn't turn the stock status into "Out of stock"
Fix: Super admin can't access to backend in WordPress MultiSite if the vendor restrict admin area access are set to "YES"
Super combo with Multi Vendor!I was skeptic about this plugin, as I was not able to understand all its potential benefits, but when I realized what I could achieve with Multi Vendor I realized it's the best way to make vendors access their information and shop panel. 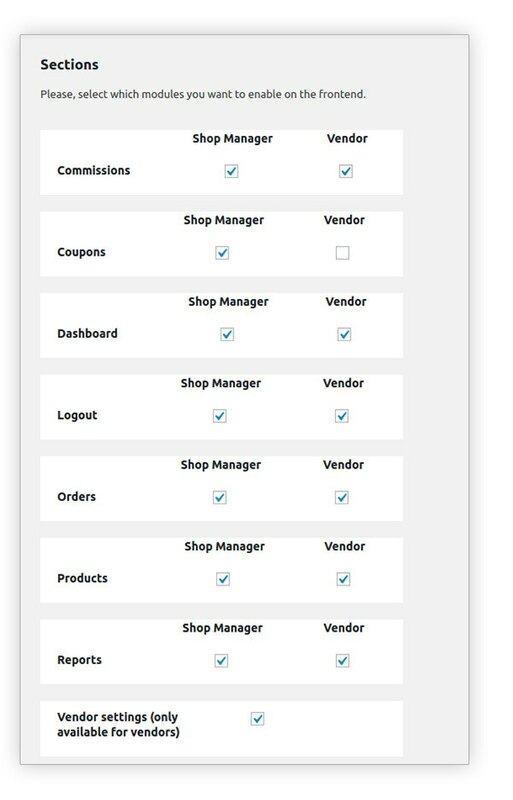 AwesomeI needed a plugin to simplify my shop managers' work and found this one. 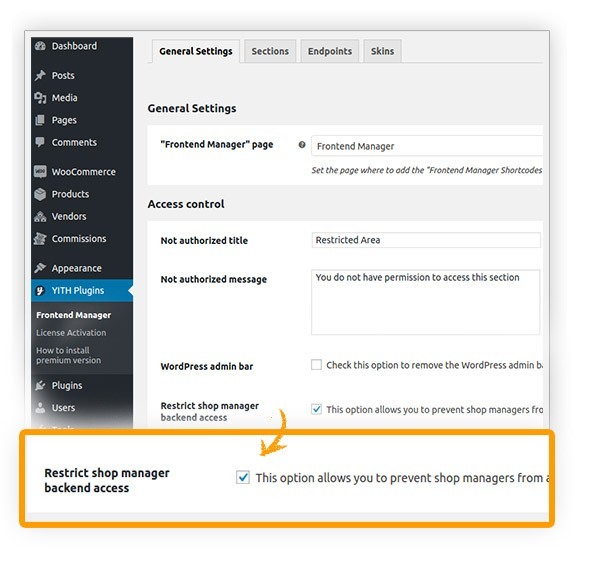 This is just perfect for my needs and my partners feel more confident rather than using WP dashboard. Very easy to set up and have it to work. No issue encountered so far. Very satisfied. 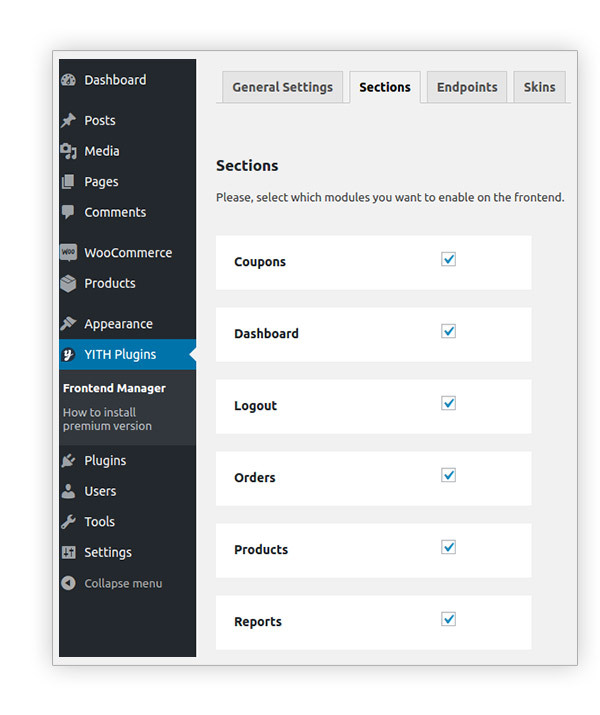 Could be a multivendor moduleI'm very happy with this plugin as it was an essential feature for my marketplace with yith marketplace plugin, but I think that it should be a free module for multi vendor and not an extra (paid) plugin. 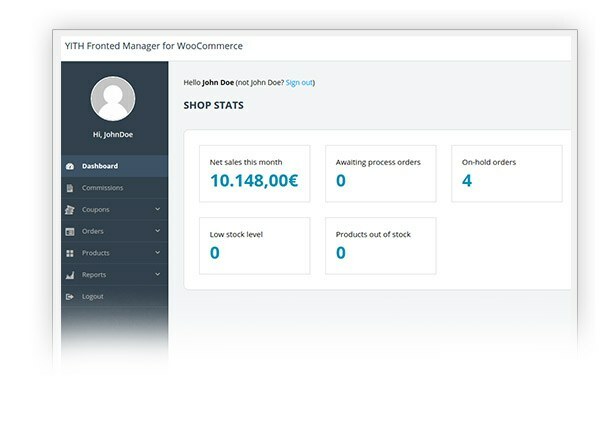 GreatPerfect if you want your shop managers to manage sections and such keeping them away from wp-admin. It works exactly as expected. Hi, Giuseppe! Unfortunately not, I am sorry. The plugin can be integrated only with our YITH Multi Vendor whereas the integration with YITH Booking will be available in the future. Hi, Walter!  I am afraid it is not possible to manage users and roles from the frontend, I am sorry. Hi, Rico! 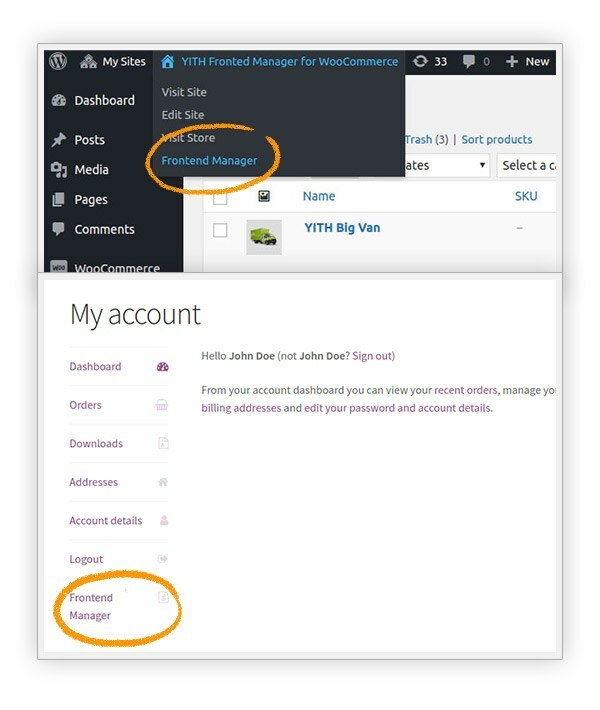 At the moment, the plugin can be integrated only with our YITH Multi Vendor as described here. unfortunately, this feature is not avaialble at the moment. Hello Reinier, we added the integration between the two plugins to version 1.4.14 released on February 15, 2019.